The Washington Nationals' ownership group "refused to approve" a trade involving Bryce Harper the day before MLB's July 31 non-waiver trade deadline, The Athletic's Ken Rosenthal reported Saturday. According to Rosenthal, the Nationals had a preliminary agreement in place with the Houston Astros before the deal was scuttled. Rosenthal wrote the Nationals would've received minor league pitcher J.B. Bukauskas. The right-hander is the No. 8 prospect in the Houston minor league system, per MLB.com, and finished 4-2 with a 2.14 ERA in 14 appearances across five levels. Two other prospects would've joined Bukauskas in the trade. Rosenthal reported the Nationals owners decided against trading Harper because they "feared that trading him would harm their relationship with the player and reduce their chances of signing him." It's impossible to say whether Harper's presence would've resulted in a different outcome in the American League Championship Series. 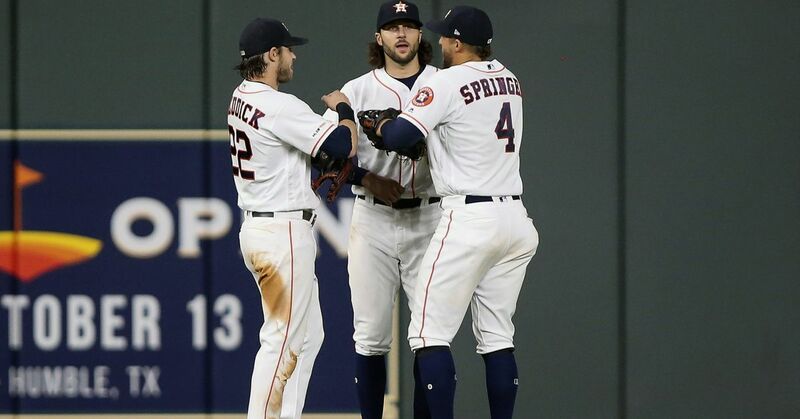 The Boston Red Sox defeated the Astros in five games, scoring 27 runs as they reeled off four straight victories to claim the AL pennant. Boston succeeded in attacking the Houston pitchers, so Harper may not have changed anything. The Astros weren't the only World Series contender to make a play for Harper. The Los Angeles Times' Jorge Castillo reported Wednesday the Los Angeles Dodgers offered Yasiel Puig in a trade package to no avail. The Washington Post's Chelsea Janes reported Wednesday the Nationals offered Harper $300 million over 10 years in late September but that the 26-year-old turned it down. If Harper signs elsewhere, then Rosenthal's and Castillo's reports could put more heat on the Nationals. Losing Harper would be a tough blow for the franchise, and the fanbase may grow even more frustrated with the knowledge Washington could've flipped Harper for prospects or an everyday MLB outfielder. If he departs, the Nats would only get back a compensation draft pick.